The 2018 Chevrolet Traverse, a full-size crossover, is fully redesigned. With fresh SUV styling, the 2018 Traverse features a new chassis and a new powertrain with 3.6-liter V6 engine making 310 horsepower. The engine has all the right stuff: double overhead cams, aluminum block and head, variable valve timing, direct high-pressure fuel injection. Even with 20 more horsepower than the old V6, the new 3.6-liter gets better fuel mileage: 21 Combined miles per gallon with front-wheel drive, versus the previous 18 mpg EPA ratings. The new chassis adds 2.0 inches to the wheelbase but only 0.7 inch to the length, while dropping 111 pounds overall to tip the scale at 4362 pounds. 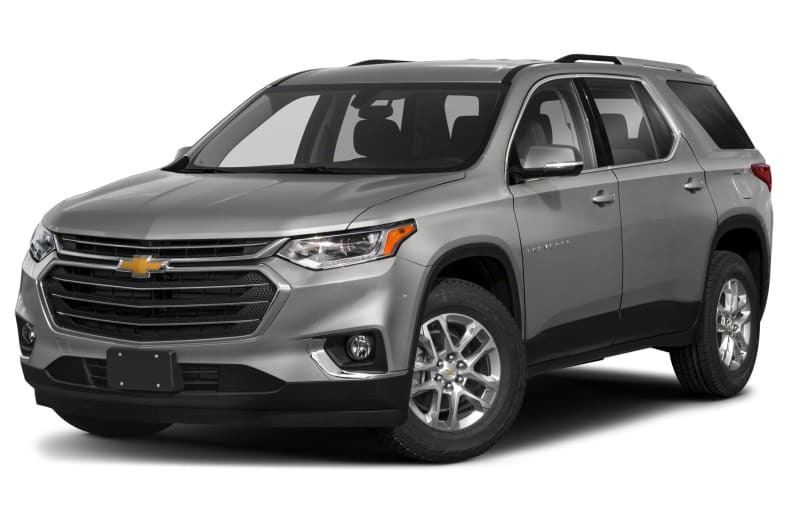 Chevrolet claims class-leading passenger space for eight people (seven with captain's chairs), class-leading legroom in the third row, and class-leading cargo volume. Two new models are added for 2018, Traverse RS, with a new turbocharged 2.0-liter I4 engine, and the luxurious Traverse High Country. Both the I4 and V6 engines use a smooth 9-speed automatic transmission, but only the V6 gets all-wheel drive. Rivals among full-size crossovers include Ford Explorer, Dodge Durango, Mazda CX-9, Honda Pilot, and Nissan Pathfinder.